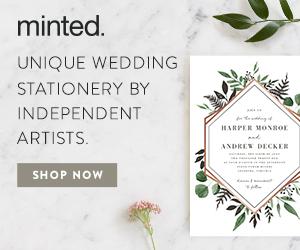 The Ugly Truth About Beautiful Weddings: They're Full of Waste — Catalyst Wedding Co. When I’m working a wedding reception, I have a lot of time to think. Once the dancing starts, I often find myself with nothing to do. I spend the endless hours before teardown walking from one corner of the room to another, staying out of guests’ way but always remaining visible in case anyone needs me. As I walk, I often admire the room. The overhead lights are dimmed to encourage dancing and the room sparkles with candlelight. Fresh flowers fill every table. It’s beautiful. It’s also a hell of a lot of work. The night before most weddings I work, one of my clients and I meet, often in a parking lot after the rehearsal. If the couple is straight, this is most often the bride, as women carry the majority of the weight when it comes to wedding planning — whether they want that responsibility or not. It’s time for the “hand-off.” We move the cardboard boxes full of Mason jars, personalized M&Ms, and fake candles from their car to mine. By the end, they looks visibly relieved, rid of the stuff that has, for months, cluttered their home and their brain. The decorations are no longer their problem. They’re mine. What is all this wedding waste for? A typical wedding takes me a half-dozen industrial-sized trash bags. I stuff each one with used napkins, discarded favors, and soggy food. What people don’t see is the very end of the night. After the guests have left and the couple’s gone home, I and the reception vendors spend at least an hour cleaning up. A typical wedding takes me a half-dozen industrial-sized trash bags. I stuff each one with used napkins, discarded favors, and soggy food. Fun Fact: The average wedding produces 400 lbs of garbage. The flowers hurt me most. Couples hope that their guests will take them as a parting gift but drunk people don’t want centerpieces. At every wedding I work, I toss hundreds and hundreds of dollars of still fresh flowers into the dumpster. I nearly cry every time. So what then is it that inspires someone to load up on jam jars and fake moss to use for all of five hours, as one couple I know did for their reception? What makes a person who previously dreaded crafting stay up until two in the morning, painstakingly drawing a seating chart on a vintage mirror with a silver Sharpie, as another woman I know confessed? What compels people to wrap white Christmas lights around a six-foot cross and prop it in the middle of a hotel banquet room, as I will never forget? The answer isn’t pretty. It reveals an ugly truth about the expectations we put on a couple — and particularly, a woman — planning a wedding: We expect them to make the wedding beautiful because we equate how beautiful a wedding is with how much they and their partner love each other. I know how crazy this sounds. Could we possibly assume that a couple won’t stay together because they skipped a flower arch? Are we really so shallow? Rationally, no, of course not. No one ever puts “ugly” weddings in magazines. Only the pretty ones get primetime. 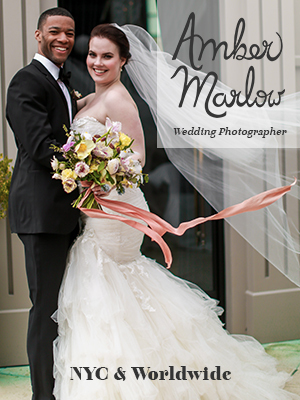 The weddings we see on websites, TV shows, and magazine covers are idealized versions of what a wedding should be. Unfortunately, those images don’t come with warning labels. We see them, again and again over the course of our lives, and eventually, the message sinks in: A perfect wedding is a beautiful wedding. Except that there is no such thing as a perfect wedding. I have coordinated more weddings in a single year than most people go to in an entire lifetime. Each one has taught me the same lesson: The perfect wedding doesn’t exist. There are only imperfect people, coming together to celebrate the most imperfect and most precious thing of all: love. 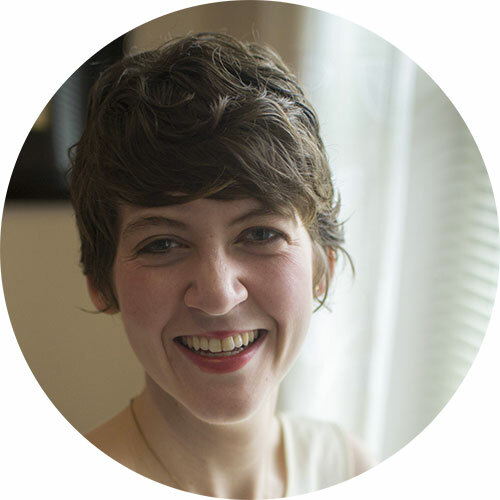 Elisabeth Kramer is a day-of wedding coordinator and writer based in Portland, Oregon. Learn more about her work at elisabethkramer.com.